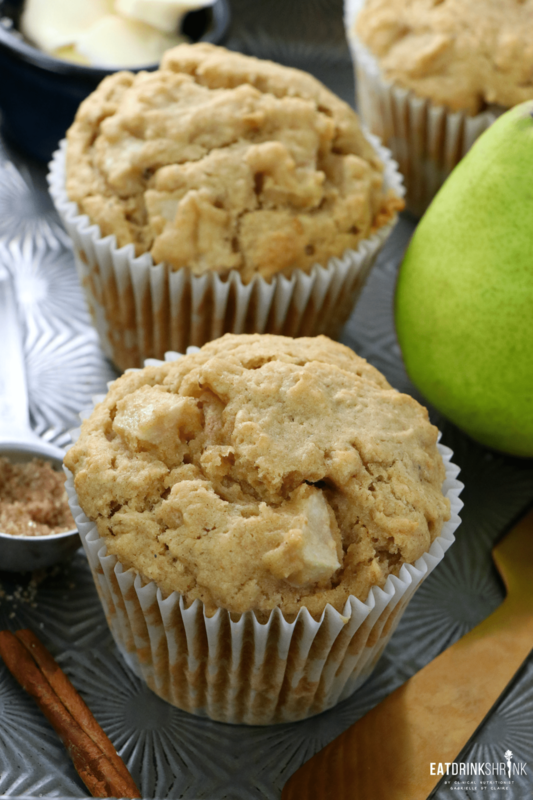 Vegan Cinnamon Pear Muffins - Eat. Drink. Shrink. 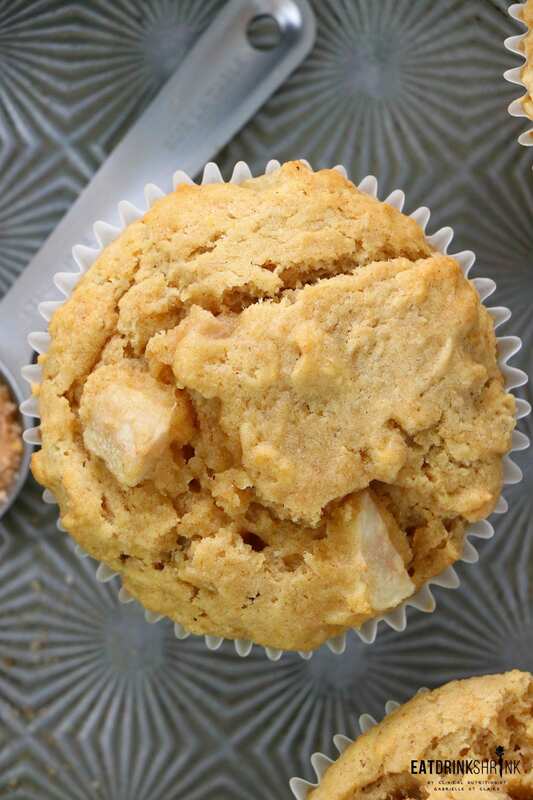 If there is one concept I became obsessed with the past 6 months, it’s a good vegan muffin! For years I skipped them as I could never achieve the perfect texture, but once I did I rolled out countless variations! While I don’t have a muffin on the daily, I do enjoy one on the weekend sometimes as it’s a chance to break away from my normal avocado toast routine and they of course are just.. So easy that to date I’ve made a Triple Berry, Lemon Blueberry, Double Dark Chocolate Chip, Eggnog, Gingerbread, Peanut Butter & Chocolate, Dark Chocolate Strawberry, Orange Cranberry, Peach Oatmeal, Strawberry Basil, Raspberry Almond, Pumpkin Chocolate Chip, Cinnamon Apple, Blueberry Almond, Green Machine , Lemon Rosemary, & a Dark Chocolate & Raspberry muffins! 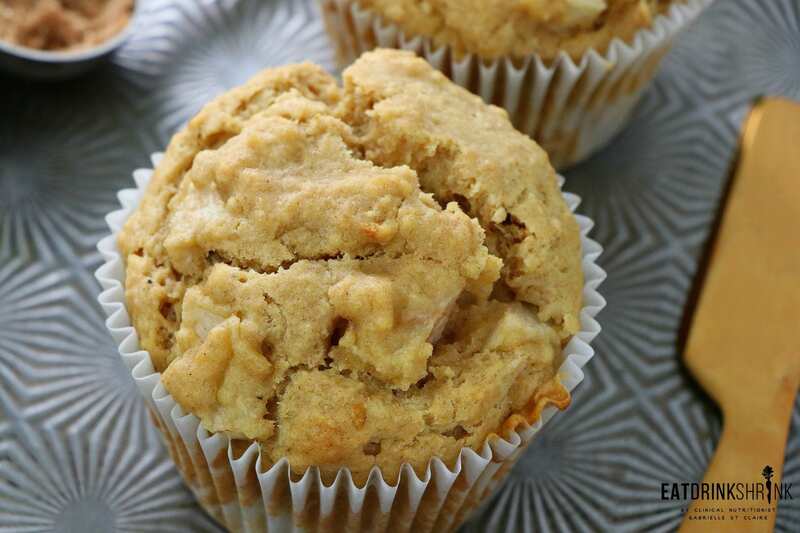 What’s fab about these muffins, is everything! 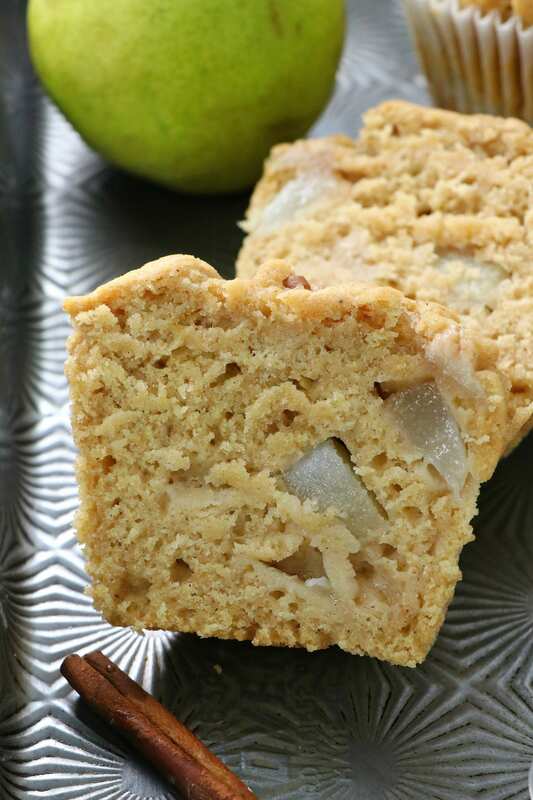 I’ve never been very into pears, so this flavor combo absolutely took me by surprise. 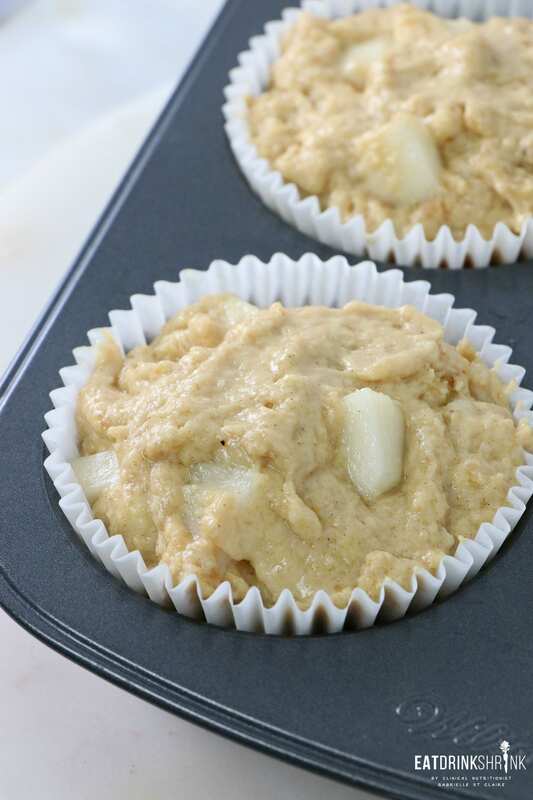 It’s quick, easy, my staple muffin recipe, packs apple sauce for a natural sweetness derived from the fruit, has less sugar than most muffins, buttery soft, perfect for any season, notes of ginger and nutmeg, packs some whole wheat flour, and is hands down my new favorite muffin! 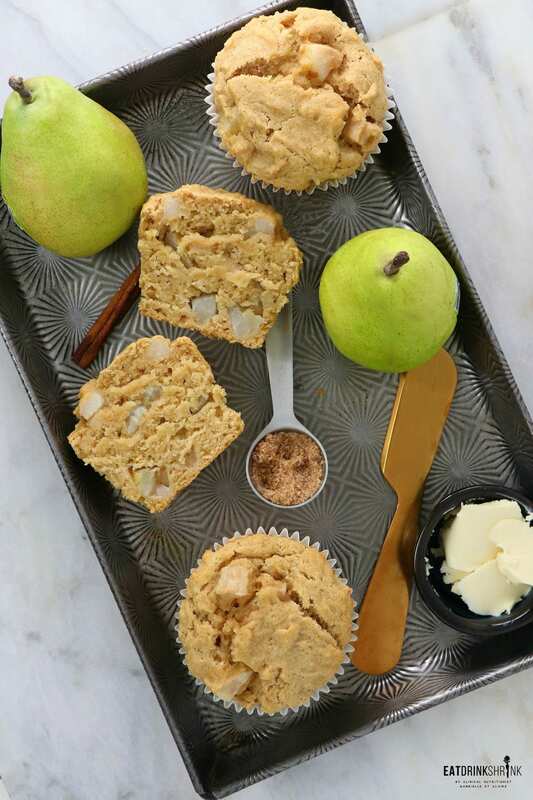 If you love all things muffins or have an affinity for all things pears, you’re going to love these staple vegan Cinnamon Pear Muffins!! Notes of cinnamon, nutmeg and ginger! Whisk the flour, baking powder, ginger, nutmeg, cinnamon and salt in a large bowl. 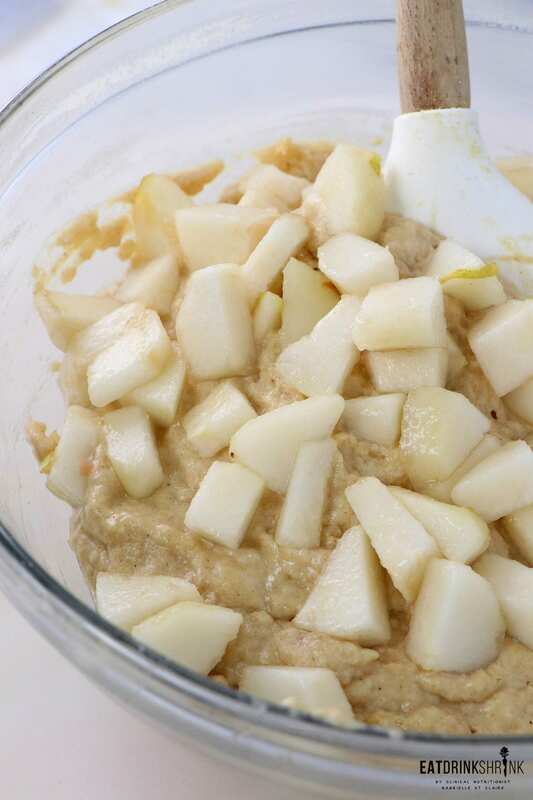 Add melted coconut oil, sugar, applesauce or mashed banana, room temp almond milk, and vanilla extract to a bowl and whisk until smooth. If the mixture is too cold and coconut oil begins to solidify, simply pop in the microwave for a few seconds. Add wet to dry ingredient lightly combine. Do not over mix. 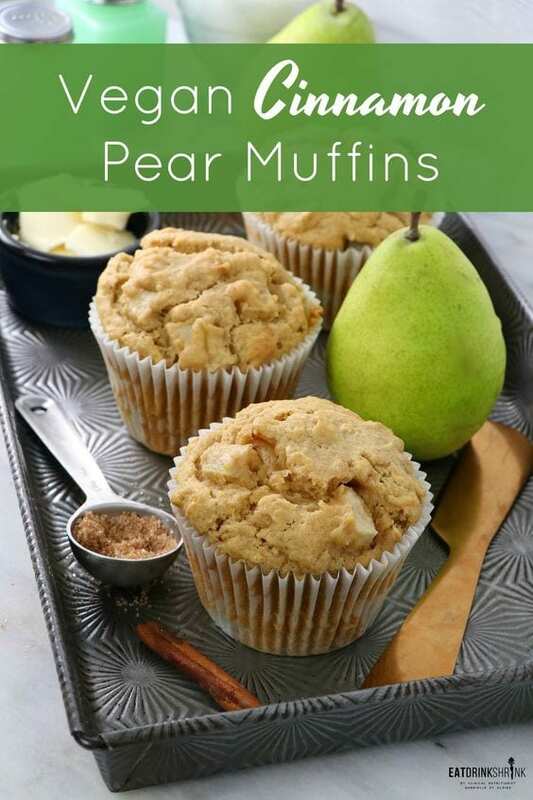 (The muffin batter will be quite thick) Fold in the pears saving a few to throw on top, and fill into the muffin cups.